So what does the latest vote share data tell us? 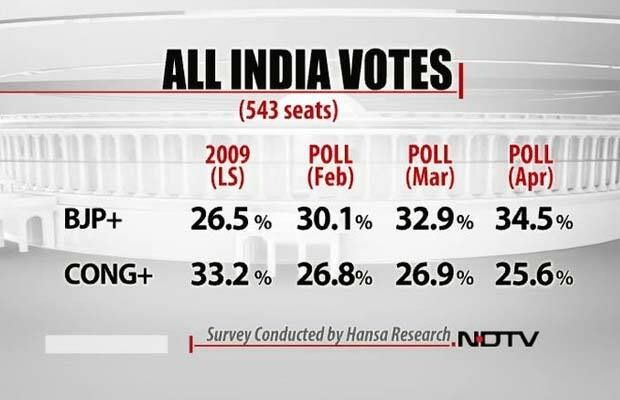 If we assume a margin of error of 3%, this signifies no real change in the two alliances’ relative positions. 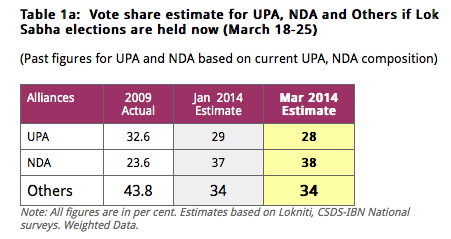 In other words, the NDA’s advantage over the UPA has neither grown nor diminished in any concrete sense over the past two months.